Anderson was right, wasn’t he? We all need these things, and we probably have a little flower of our own blossoming in our home!! But does that little flower know of all the other wonders of nature that are growing, blooming and living around him? Probably not! Little kids today, including infants, are so connected to gadgets and screens that most of them don’t know anything about the natural world. Come to think of it, even we are pretty out of touch with nature too, aren’t we? Considering that we are all the children of Mother Nature, it’s really important to find time to connect with nature regularly. Studies have also shown that such a connection helps to ease stress and increase happiness. Remember how good it feels when you visit your parents’ home? Well, the same principle applies here! That’s why, the theme of World Environment Day this year is ‘Connecting People to Nature’. The aim is to encourage people to go outdoors and appreciate the beauty of nature, so that we might put more effort into caring for our beautiful planet. 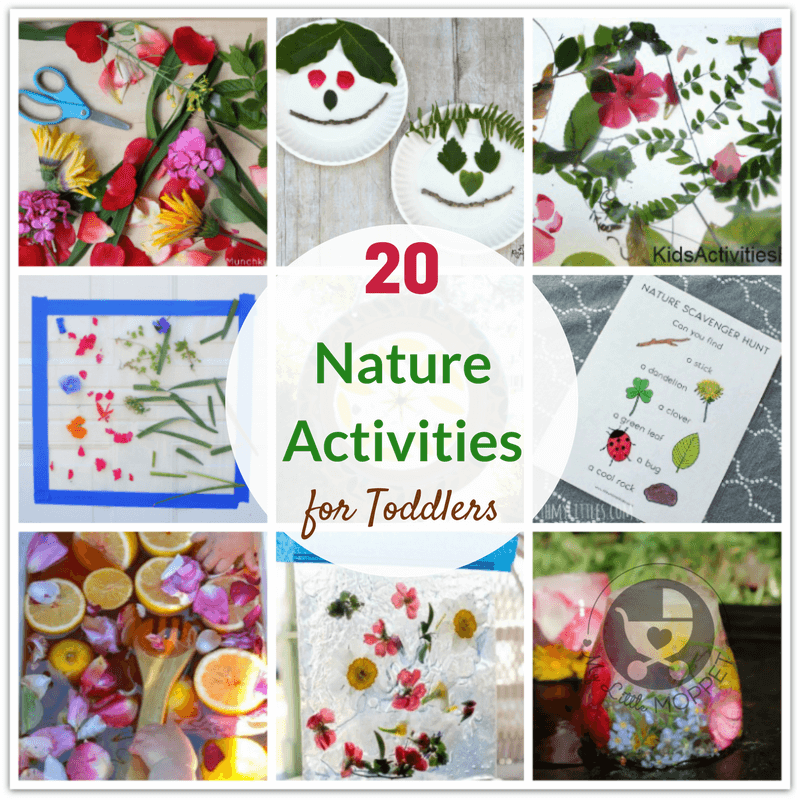 And since our kids are little people too, we’ve put together a list of super easy Nature Activities for Toddlers – some of them can even be done by babies! Nature is art, and you can also create your own custom art with elements from nature! I can Teach my Child has a lovely idea for an outdoor mural where toddlers can stick leaves, petals and whole flowers in any pattern of their choice. You’ll need contact paper for this activity, which you can stick to a wall or solid gate outside. Hand the children the materials and let them create art! 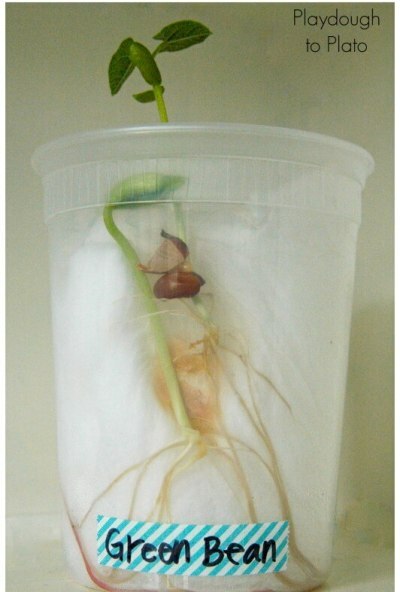 There are few things that are as beautiful as watching a tiny seed grow into a strong plant. 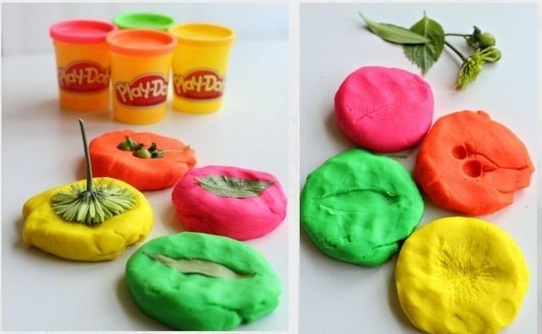 Even a toddler can appreciate this marvel of nature and this activity from Play Dough to Plato is just what you need. You can use regular beans for the seeds and everything else is easily available around your home. It’s a good idea to label the containers if you’re using different kinds of seeds so your kids can understand the difference between the plants as well. 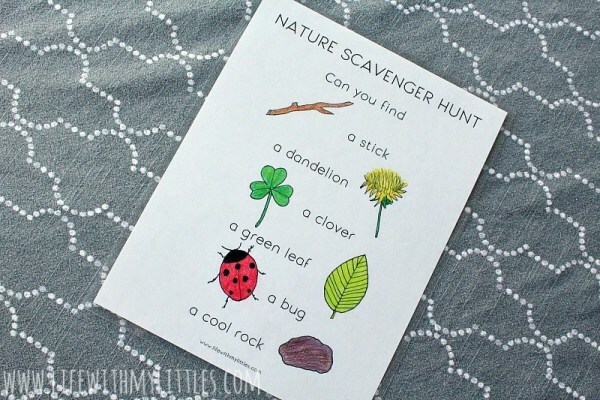 Scavenger hunts are always fun, and this version from Life with my Littles has a picture printable that is quite toddler-friendly! There are many ways you can do this. You can take a walk with your toddler and ask her to find the objects in the sheet and tick each one as you find them. Older kids can take pictures of each object with a child-friendly camera. However you do it, fun is guaranteed! 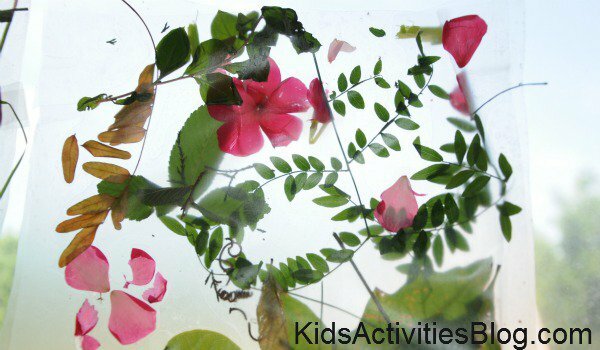 Collages are among the easiest craft projects for toddlers and preschoolers, and this one from Kids Activities Blog is no different! However, what’s special here is that you use only natural elements to make the collage! 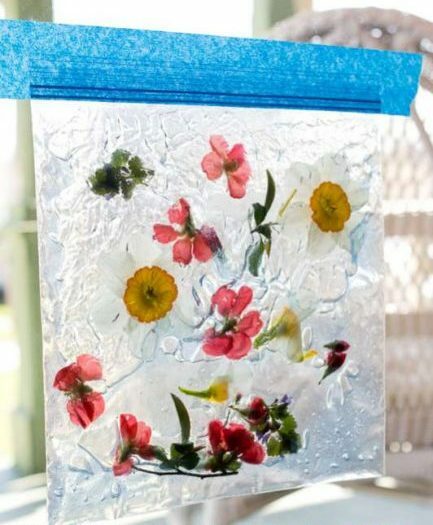 They have used contact paper to make the collage do double duty as a sun catcher, but you can just use a sheet of thick paper or card stock as well. Use fresh flowers or dried ones – they’ll all look pretty! 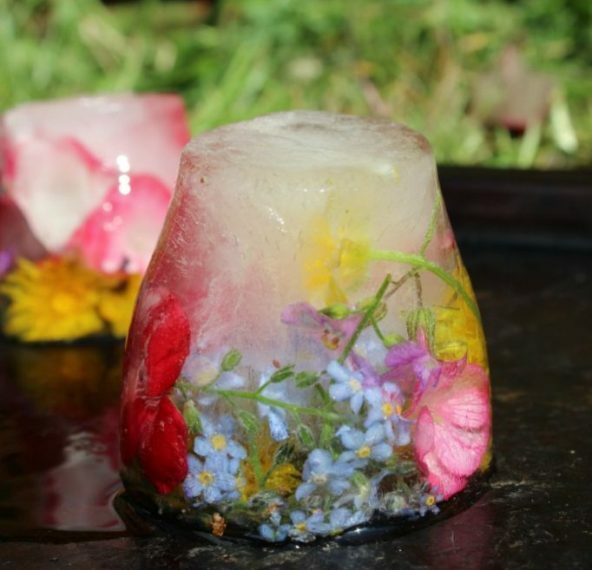 When speaking of nature activities for toddlers, we can’t think of a better one for summer than these frozen flowers from Crafts on Sea! This is probably the easiest activity – just freeze your flowers a day ahead and then let them melt into one pretty yet messy solution in a large tub. Needless to say, this is one activity that has to be taken outside! 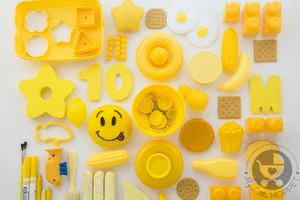 Toddlers love playing with play doh, which makes this project from Hello Society perfect for this age group. 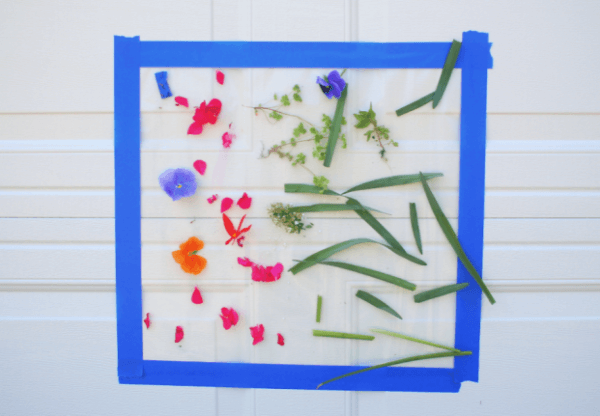 The activity is simple – gather your materials like large leaves, flowers or twigs and press them into play doh to create prints. Pull out the leaf and voila – you have a beautiful print to observe! You can ask kids questions about the leaves, or even ask them to match the print to what created it. This is a unique activity that you are unlikely to have tried before. If you have an old, rugged tree in your backyard, you’re in luck! Make the most of those beautiful ridges to create kid-art. 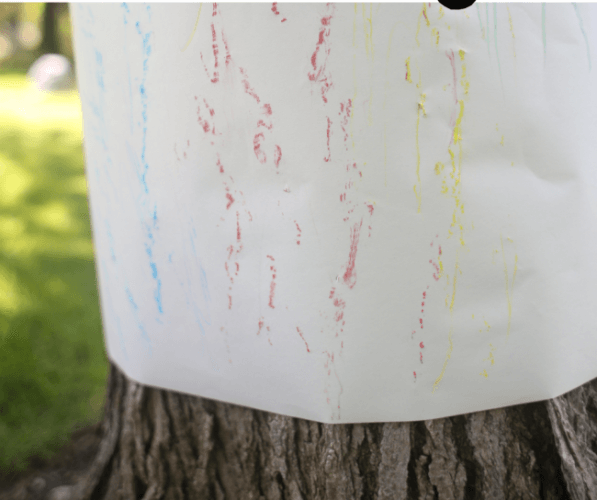 Just wrap art paper around the tree, stick with tape and let the kids draw on it with colored crayons. This would also make a great activity for cousins or friends to do together! Sensory bags are a great way for babies to explore and learn to focus their attention. This sensory bag from Hands On as We Grow also doubles as a sun catcher – just stick it on window! Gather the materials by doing a scavenger hunt or a nature walk and use double bags especially if you’re dealing with over-excited toddlers or babies! You can focus on using different textures here, so it’s more fun to squish and move around! You don’t need store bought paintbrushes when you can make your own! Check out this fun activity from Messy Little Monster where you can use twigs to create paintbrush handles and all kinds of materials to make the brush ‘hairs’. Be sure to have lots of elastic bands to hold the brushes in place so that your toddler doesn’t get frustrated while trying to paint. Now get out some non toxic paint pots and large sheets of paper and let the kids create art! This is an excellent sensory activity for toddlers and preschoolers and helps them learn about different scents. Mamas Happy Hive has used lavender, lemon and basil, but you can use any scent of your choice. 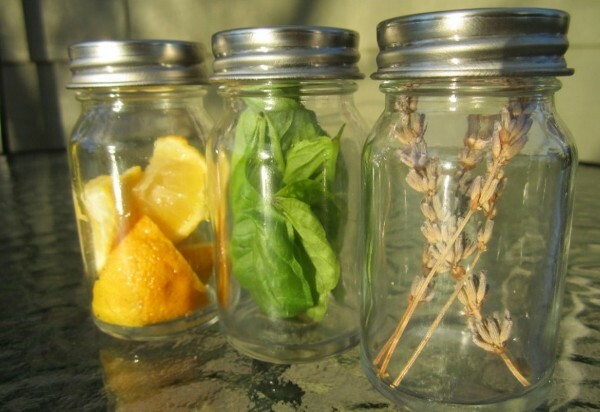 Just use clean, dry glass jars, add a piece of lime or a spring of lavender along with the associated essential oil. 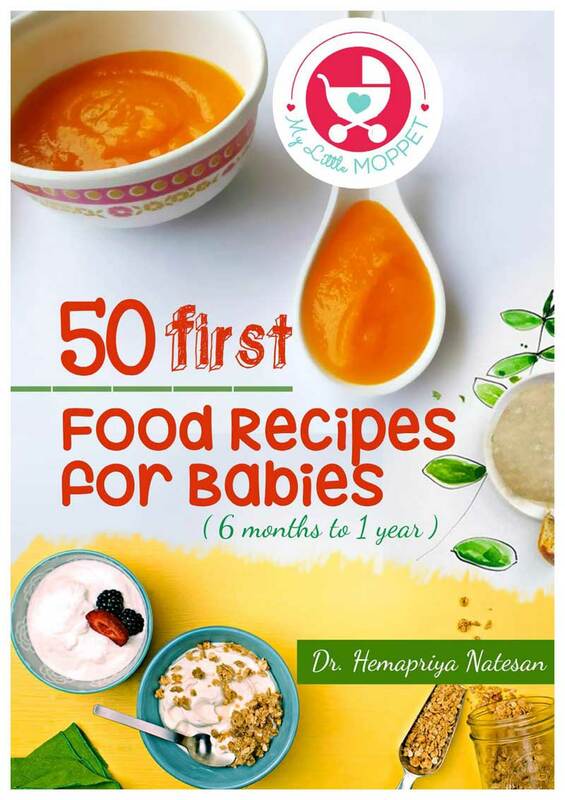 Hand the jars to your child and let him sniff and guess! Animals are also a part of nature, and a pretty fun part too! If you can, take your little one out and show her footprints of cats, dogs and birds and how they’re different from each other. 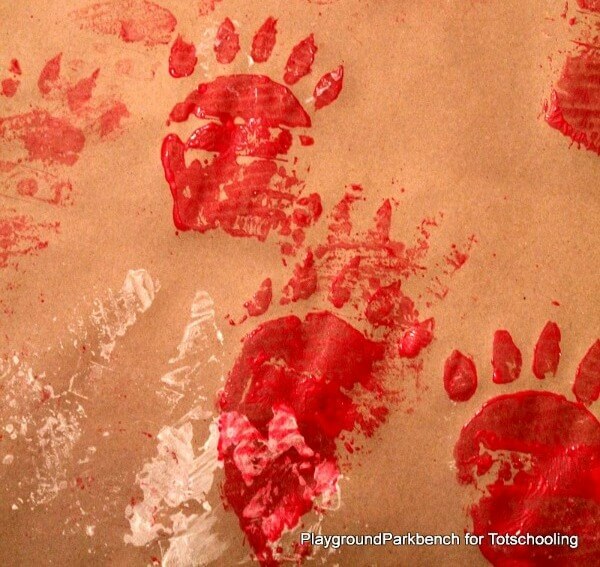 Now even if that’s not an option, you can make your own animal tracks with this fun project from Tot Schooling! Let your toddler stomp with different ‘feet’ and you can also use her toy animals to create some mini-tracks! If you’ve tried threading beads with your little one, then this one is sure to be a hit! 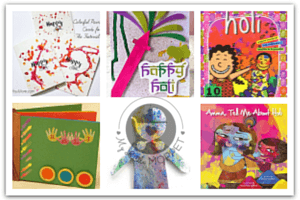 Kids Craft Room has a fun gross motor activity that involves 100% natural materials. 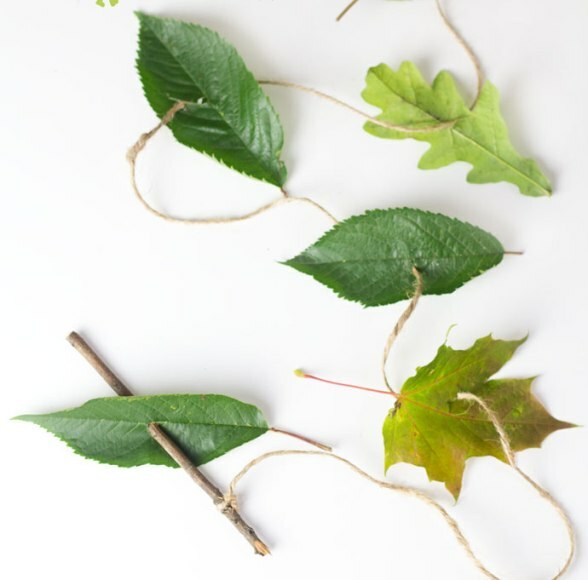 Make a twig ‘needle’, tie on some twine ‘thread’ and you’re all set to thread your way through some leaves! This project has a Hungry Caterpillar feel to it, so reading the book along with this is a good idea. 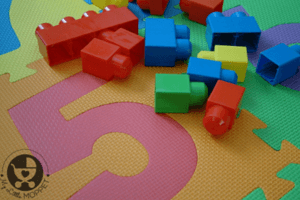 This activity from The Kindergarten Connection is more of a big-kid activity, but toddlers can do it with help from Mom or Dad. 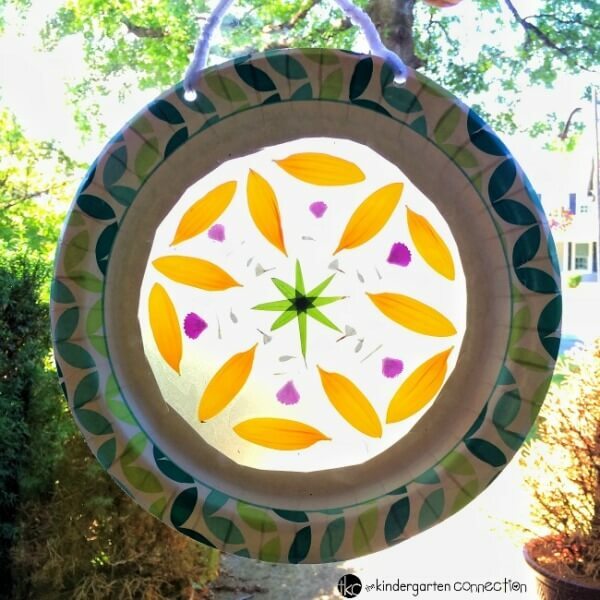 With paper plates, self adhesive transparent sheets and lots of pretty petals and leaves, you can create a beautiful sun catcher to hang by your window. What’s more, as the sun shines through the leaves, kids can clearly see the veins and other parts of the leaf and marvel at Nature’s attention to detail! Does your toddler like making faces?  Well, then this activity from the Resourceful Mama is perfect for her! 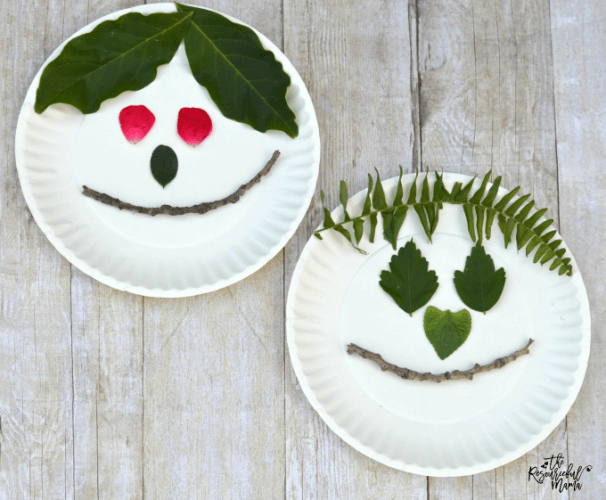 With a paper plates and lots of leaves, flowers, berries and more, you and your toddler can make some hilarious looking faces! Gather twine or long grass for hair and go crazy with some weird hair styles! Just hand the materials to your little one and let her create a face to her liking. Who doesn’t love water play? We bet your little one does and that’s why she’ll love this nature soup activity from Meri Cherry! 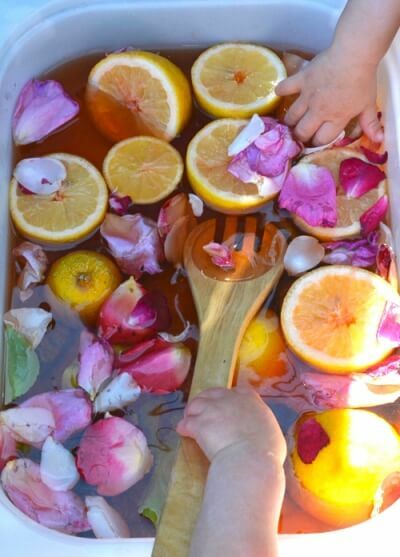 This is basically a water based sensory activity, where you create a ‘soup’ with all kinds of elements – lemons, leaves, flowers, twigs and more! Put it all into a large plastic tub with colored water, and then hand them utensils and brushes to swish everything through. Let them stir, sieve and pour to their heart’s content! There’s been a lot of research lately that proves how yoga can be beneficial for even very young kids. If you’d like to introduce your little one to yoga, this Garden Yoga printable from Childhood 101 should help. 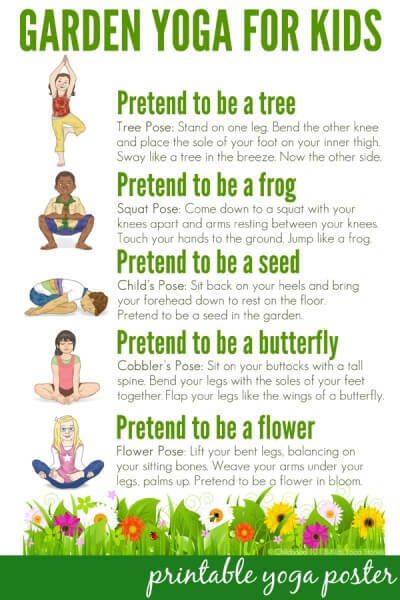 With poses that make you pretend you’re a frog or a flower, we’re sure it’ll appeal to young kids. Cutting practice is a great way for those little hand muscles to get good exercise and develop motor skills. 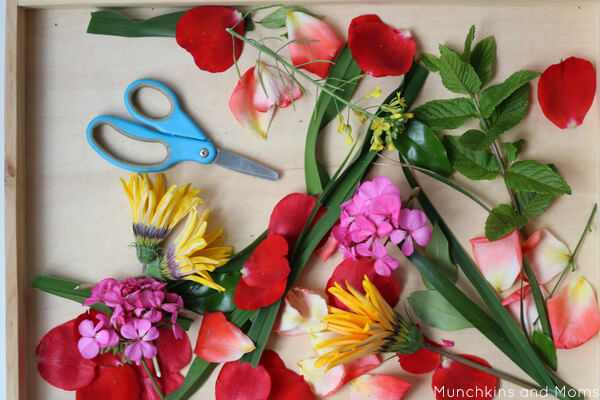 Munchkins and Moms has this great idea of a cutting tray where kids can use child-safe scissors to cut and freely explore all kinds of natural elements. 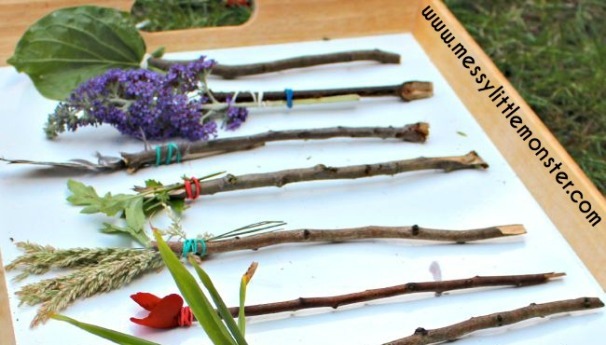 Take the kids on a nature walk before hand and collect twigs, leaves, flowers and whatever catches your fancy! As you probably know by now, we’re fans of the Montessori Method, and this tray from Living Montessori Now is perfect for kids of all ages! 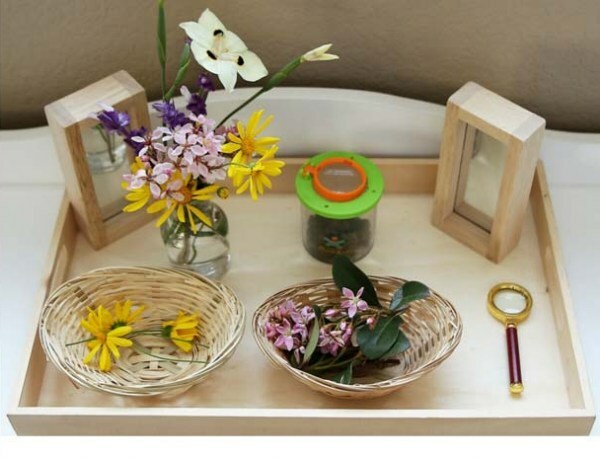 With basic supplies like baskets, vase and magnifying glass, you can create a setup for kids to explore the various parts of flowers as well as learn to arrange them. 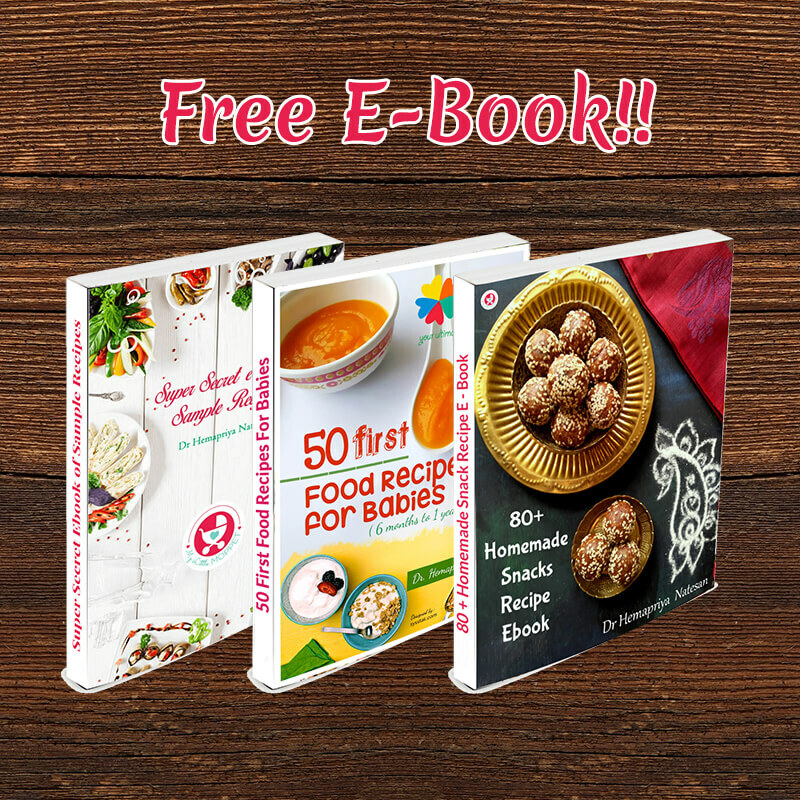 Be sure to display their handiwork after they’re done – they’ll love it! Sensory bottles are a great option for babies and toddlers, and we love this one from Rhythms of Play! The best part is that you can make it with things lying in and around your house. 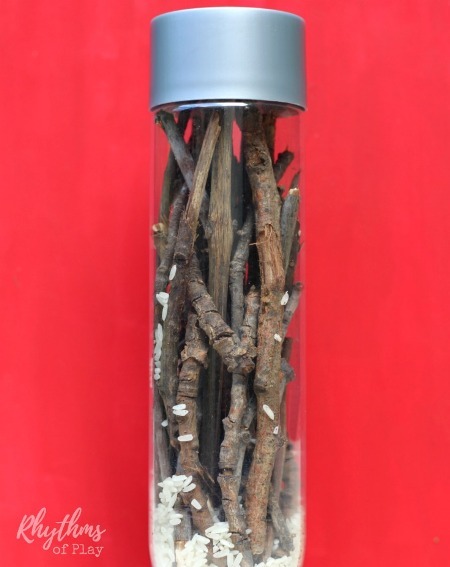 Get a transparent plastic bottle so kids can see all the components even while they’re shaking and playing with their rainstick. With the rains coming soon, let them get used to the sound of falling raindrops! Here’s a nature-inspired twist on the traditional stacking toy! Rhythms of Play shows us a great activity that can be customized for any age – starting with babies! 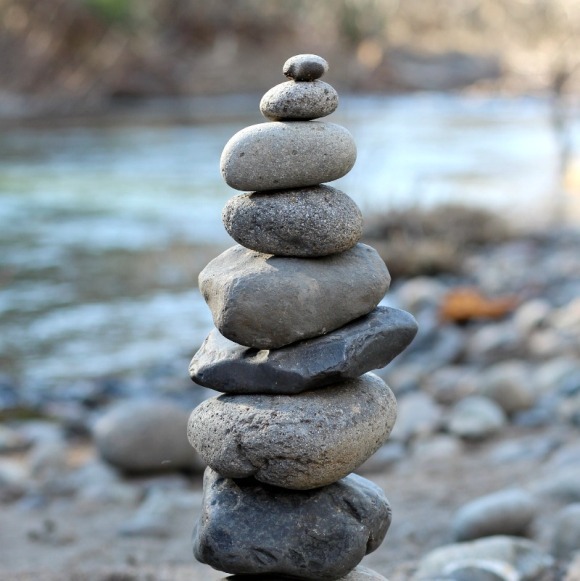 Get clean rocks of different sizes and let your child stack them. 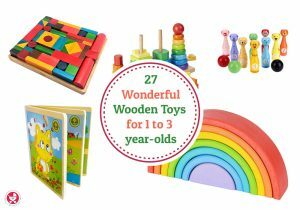 Besides being a task that requires focus and concentration, it also helps them learn about size, balance and shape. 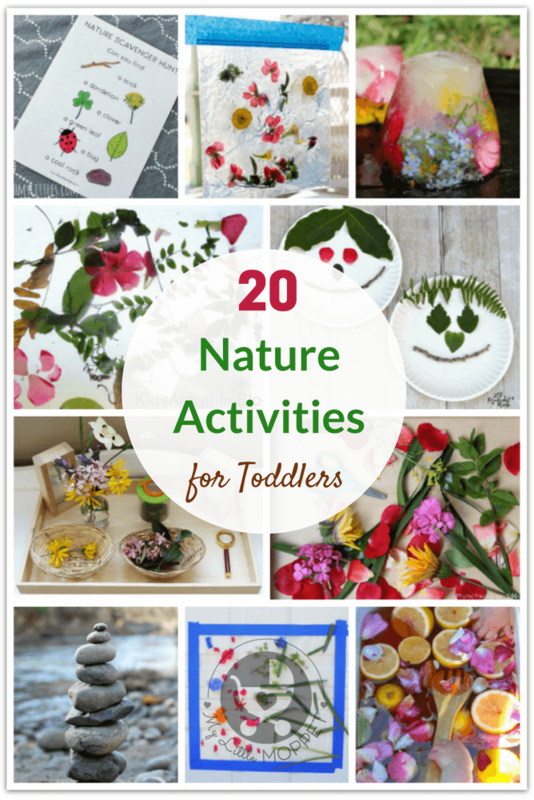 As you have probably noticed by now, many of the nature activities for toddlers are messy! However, toddlers like it this way and we recommend not worrying about the mess. Instead, take the activity outdoors, or if you’re doing it indoors, spread a large shower curtain or do it in the balcony. Most importantly, give the kids free rein, and let them enjoy the process fully, as they learn to appreciate the wonders of nature! Great activities.i love them all n wl surely try many of them.thnx dr Hema..love u for dis.. 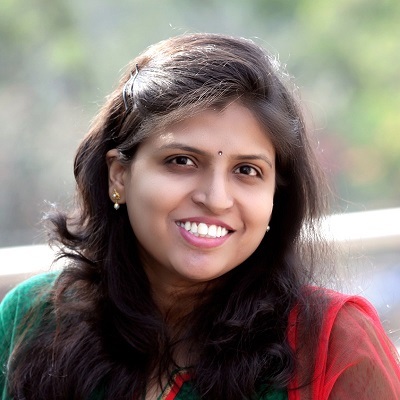 Cheers Anamika. Do try them and share pics or experience.